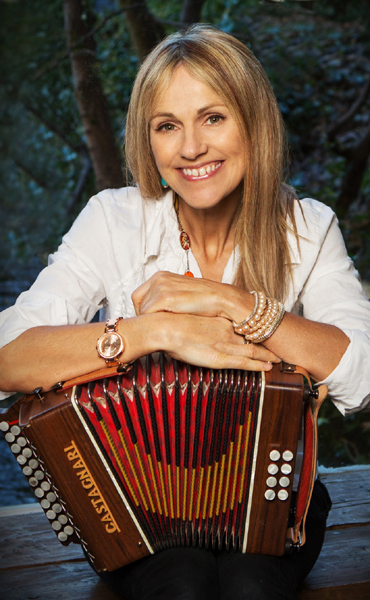 Sharon Shannon has recorded and toured with a who’s who of the Irish and Global Music Industry, including Bono, Adam Clayton, Sinead O’Connor, Jackson Browne, John Prine ,Steve Earle, The RTE Concert Orchestra, The Chieftains, The Waterboys, Willie Nelson, Nigel Kennedy, Alison Krauss and Shane MacGowan. In March 2017, Sharon released her 10th studio album Sacred Earth. Produced by Justin Adams, this album mixes Irish music with African and blues and features celebrated African Musicians Abass Dodoo and Seikou Keita as well as special guests including Finbar Furey and Alyra Rose.